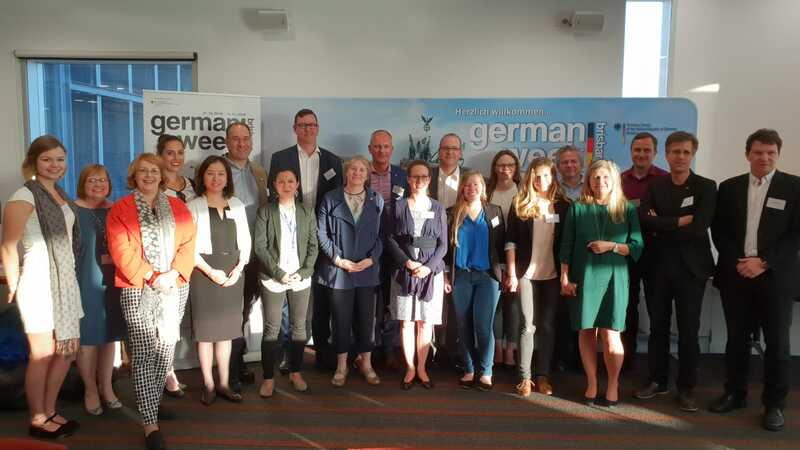 Brisbane German Week is an annual event to highlight the relationships between Germany and Australia, and more particularly with Queensland and its capital Brisbane. 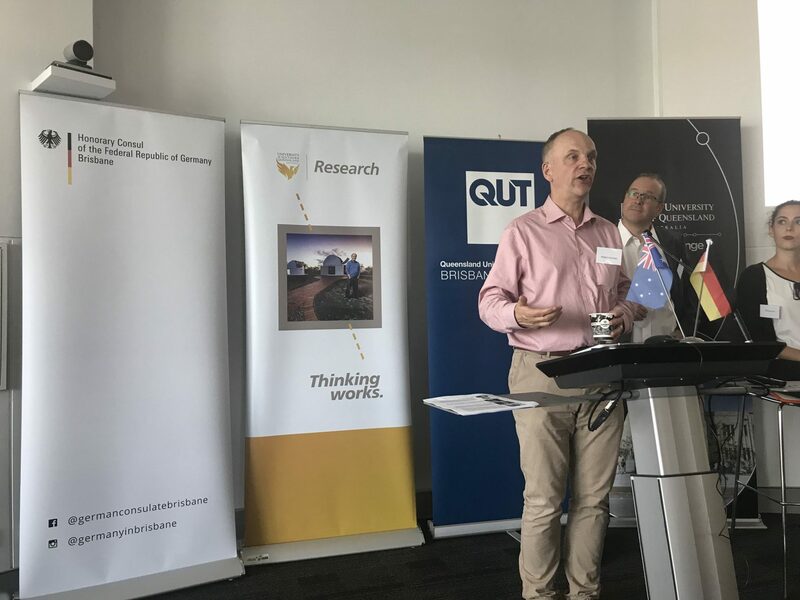 This year’s science and innovation day was held at the Queensland University of Technology’s Gardens Point Campus. 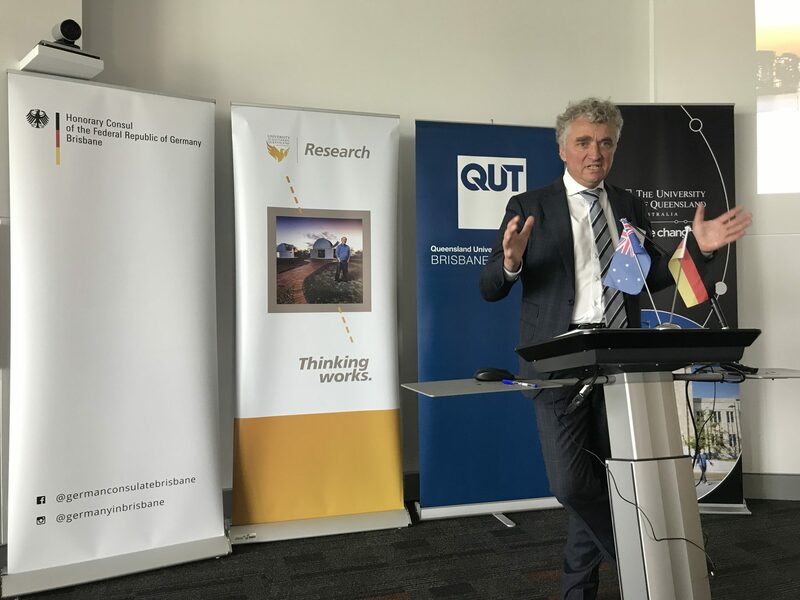 Organised by Prof. Michael Rosemann, Honorary Consul for Germany in the city and also Professor for Information Systems at QUT, other universities from South East Queensland also participated. 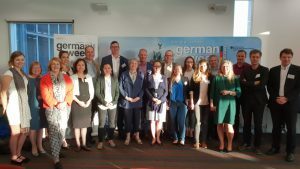 Attended by around 100 people in total the day brought students and academics together to discuss their research and how German Ph.D. students worked in Australian universities – as well as discussions on how Australians had coped in a German research environment. 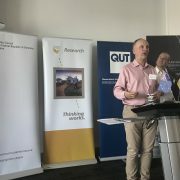 A number of case studies were presented of successful collaborations and a panel outlined funding opportunities for study abroad and support for research. 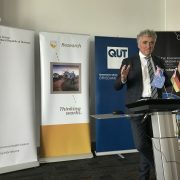 Prof. Michael Schütz, formerly at Berlin’s Charité hospital and now at QUT gave the keynote speech about bilateral opportunities between Queensland and Berlin and looked forward to the forthcoming visit of Berlin’s mayor to Brisbane where the new health alliance between the states of Berlin and Queensland will be announced. Our board member Rob Harrison also introduced the work of the German Australian Business Council.